Confused about which silk duvet to buy? Have Mulberry silks and momme ratings become all too involved? This site is here simply to supply you with the information you need to help make the right silk bedding choice. There are a growing number of retailers who specialise in silk bedding, however weeding out the good from the bad has become quite a daunting task. This site has been set-up to help you make an informed decision on which silk duvet and silk bedding product is right for you. 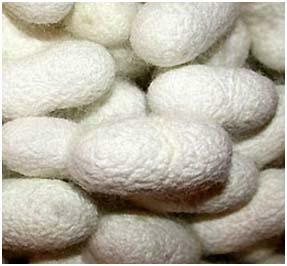 Is everything we are are told about silk bedding true? Can silk duvets really regulate our body temprature while we sleep? Is silk bedding really good for us and can we believe the retailers that sleeping on and under silk will change the way we sleep? We strive to answer these and many more questions about silk bedding and silk related products on this site. Although every effort has been made to bring you accurate information, this website is merely a guide and the final choice is up to the individual. We may recommend retailers and products, however these recommendations are purely from our experiences and from people who have emailed us letting us know about a specific product. If you would like to add to our site my means of a recommendation or comment just send an email to us by clicking here. We would love to hear from you.